Household hazardous waste cannot be recycled and poses a threat to the environment if not disposed of properly. 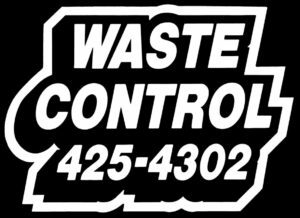 In partnership with Cowlitz County, we collect hazardous wastes from residential customers within Cowlitz and Wahkiakum Counties free of charge. The waste is properly packaged in our collection facility and transported to licensed, disposal facilities through a contract-hauler. Important note: Please have appropriate identification available, such as a valid driver’s license, utility bill, property tax statement, job bid, or building permit, and present to the inbound scale operator. Batteries: Batteries 9-volts and larger should be taped lengthwise over the terminals with electrical tape. The tape prevents the terminals from connecting and starting a fire. Total Volume: Total volume of household hazardous waste deposited at the facility cannot exceed 25 gallons or 200 pounds and individual items larger than 5 gallons or 50 pounds. Prior approval is necessary for volumes exceeding this threshold. 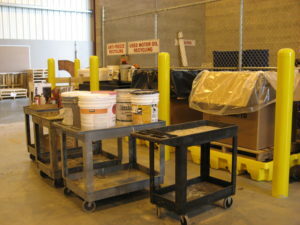 The HazWaste Facility is open from 9:30 a.m. to 11:30 a.m. on Tuesdays and Saturdays. The facility is located in Building A. There is no charge for household hazardous waste. We also conduct one mobile collection event per year in each of the following cities: Castle Rock, Kalama, Cathlamet, Ryderwood, and Woodland.